Linda Moody Service Details - Cordele, Georgia | Hughes & Wright Funeral Home, Inc.
CORDELE – Funeral services for Linda Gail Moody, 67, will be held 11 a.m. Saturday, December 1, 2018 in the chapel of Hughes & Wright Funeral Home. The family will receive friends following the service. Burial will follow in Evergreen Memorial Gardens in Cordele. Mrs. Moody died Wednesday night, Nov. 28, 2018 at her residence. 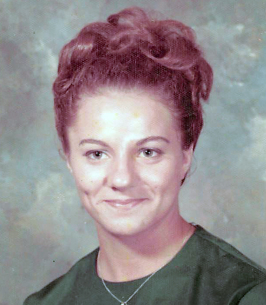 Linda was born in Dooly County, Ga. to the late Joe Dorminey and Verlin Rhudene Williams. She is preceded in death by her daughter Dena Helms and her siblings, Rhudene D. Hall and Eva D. Greene. She worked as a desk clerk at Hampton Inn in Cordele, Ga.
She is survived by her brother Joseph Franklin Dorminey of Cordele; her sisters Peggy D. Cranford of Pineview, Ga. and Dianne D. (Al) Radford of Cordele, and several nieces and nephews. To send flowers to the family of Linda Gail Moody, please visit our Heartfelt Sympathies Store. Additional Information	Visitation will be in the chapel of Hughes and Wright Funeral Home following the service. Peggy, Diane, Franklin and family, So sorry to hear about Linda! Our thoughts and prayers are with the family during this time of sorrow. I am so Sorry to hear of Ms.Lindas death. I know she is happy to be with her daughter again! Linda was such a loving person with a kind soul. She will be greatly missed by all. Praying for comfort and healing during this sad time. To the Moody Family, My thoughts and prayers go out to you and the many friends of Linda. We can all look forward to a world without the pain and suffering of losing a precious life as promised in the Bible at Revelation 21:4 and 1 Thessalonians 4:14. May God comfort your hearts, 2 Thessalonians 2:16, 17. My deepest sympathy.